The very best job in all of bookselling is looking at new catalogues. Remember that feeling, months before Christmas when you were seven or eight years old, browsing through the Sears Christmas catalogue and picking all the toys you wanted Santa to bring you? Going through publisher’s catalogues is exactly like that, except you actually get to order every last book you want. We have a pretty carefully curated collection at my bookstore. We don’t sell a lot of “bestsellers”, period. From the mainstream trade catalogues we buy the very best of the literary fiction, poetry, and a lot of non-fiction, but compared to our purchases on the whole, these amount to a middling percentage. The catalogues we get most excited about, invariably, are those most other bookstores don’t look at: the University Presses. It isn’t that University Press books are only of interest if you are a specialty bookstore. They contain lots of exciting, widely appealing titles. But ordering from them isn’t the easiest thing if you aren’t used to it, and so most conventional bookstores don’t bother. For starters, many University Press books are what we call “short discount” books, meaning the bookstore gets much less of a discount than the norm for a frontlist trade title. This has led to a policy at Chapters/Indigo of not ordering short discount books for stock – they will, I believe, special order them if you beg really hard. A short discount on an expensive book can be hard for many bookstores to swallow, which leads me to the second issue, which is that University Press books can often be quite expensive. Not unreasonably so, but you’re not likely going to ever see a “mass market” edition from a University Press. Hardcovers range from $29.95-$60+, with paperbacks in the $19.95-$34.95 range. Sometimes more. Many University Press books are print-on-demand. That means they don’t have a warehouse full of stock (though wholesalers might), they simply print to order. The backlists of presses like the Fordham University Press, Cornell University Press, and the State University of New York Press have gone largely to a print-on-demand model. Print-on-demand is a useful technology that allows thousands of titles to remain in print over a long period of time, but is troubling for some bookstores. It complicates returns as many POD titles aren’t returnable, and the books often aren’t very attractive. Chapters/Indigo has a chain-wide policy of never ordering print-on-demand titles, to simplify things for them. But this isn’t meant to be a litany of reasons not to get University Press books – what I have instead are five reasons why all the trouble is absolutely worthwhile to me. I’d argue that Alberto Manguel is one of Canada’s very best literary critics. His books on reading and readership should be required for anyone who thinks or comments on book culture from any angle – his classic A History of Reading has become a one of my most frequently consulted reference books. And speaking of well read individuals – this guy. He has lived on four continents and counts having once been a reader to a blind Jorge Luis Borges among his qualifications. Most of Manguel’s best-known works are published in Canada by Random House, but this collection of essays drawn from a variety of publications has just been published by Yale University Press. You have to have been living in a hole to have missed the announcement of this one: Mark Twain left instructions that his final œvre – the autobiography he spent the final four years of his life writing – would not be published until 100 years after his death. And guess what? The time has come, the vaults have been unsealed, the manuscript has presumably been thawed and released from stasis or whatever else they did to it, and here it is, the first volume from the University of California Press. Or, here it will be, come November. I have a secret love of books with elaborate and unlikely titles. 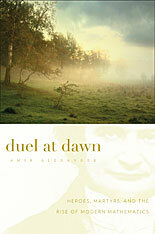 Especially ones which involve duels at dawn. From the blurb: “In the fog of a Paris dawn in 1832, Évariste Galois, the twenty-year-old founder of modern algebra, was shot and killed in a duel… in the nineteenth century, brilliant mathematicians like Galois became Romantic heroes like poets, artists, and musicians. The ideal mathematician was now an alienated loner, driven to despondency by an uncomprehending world.” There’s a novel in there, somewhere. In the meantime, Alexander’s book is supposed to be excellent. It’s also beautiful: Harvard produces some of the nicest, most pleasant to hold books on the market. This isn’t just token Canadian Content. I think this is a really important book, even if you aren’t a student of Canadian Book History. 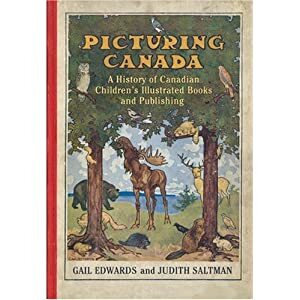 Canada has come to be a world leader in children’s publishing, and that is in no small part due to the very hard work on the part of certain pioneers in the field including Janet Lunn and Oxford Canada’s Bill Toye. The book is thorough – for an academic, utterly complete – and beautiful, and I dare say -for the non-academic – readable. Indeed! I haven’t looked too closely at this one because it only arrived the day before yesterday. But I’m intrigued! 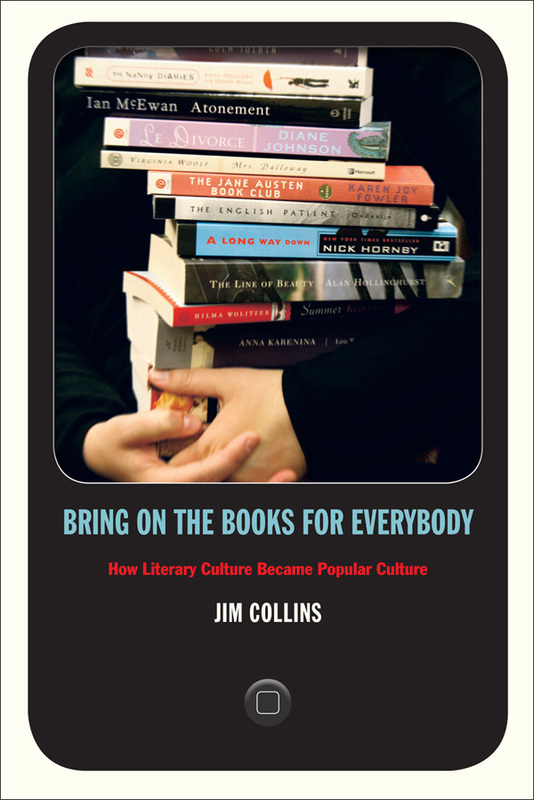 Collins talks extensively about the rise of literary adaptations in film and television, and of literary adaptations of film and television; of fandom and increasingly hands-on readers. He discusses past and current responses to bestsellers and the bestseller phenomenon itself. Okay, it might sound a little egg-headed, but we’re all smart folks here. This might be the reflective survey of your life’s passion that you were looking for. Lately I’ve done a lot of thinking about the art, or business, of reviewing books. This isn’t a new preoccupation, of course – I posted about it once before here – but it’s an ongoing one, inflamed recently by a series of events. I’m sure you have all seen Andre Alexis’s piece on the state of Canadian criticism recently published in The Walrus. The article has caused some stir, agreements and disagreements with points or names. For my part, I agree with him. Canadian reviews do not move me to buy or even think about the books they cover. This week, with Alexis’s essay fresh in mind, I felt bombarded by proofs. I have been repeatedly confronted with glowing, meaningless reviews of books which I would only have described as mediocre. This baffles me – am I really so far out of touch with other readers? What am I missing here? I once read the memoirs of a British diplomat who had spent some of his career in Canada who (and I’m badly paraphrasing here, being unable to remember exactly what book it was or who wrote it) described the Canadian attitude towards its artists and thinkers as seen by an outsider. He said Canadians will make a genius and a hero out of anyone who shows the slightest indication of talent. In some enthusiastic collective act of nationalism or cultural cheerleading we elevate the mediocre to the status of promising, and the passable to the status of genius. This is an embarrassing and perhaps insulting assessment of the Canadian canon and I don’t want to agree with him. But his biting sentiment drifts to mind in any case as I read my newest Quill & Quire, or the Afterword’s impotent “Buy It or Skip It” reviews (which can never bring themselves to tell you to Skip anything; only perhaps wait until the paperback). I can’t believe Hope Larson’s bland young-adult offering Mercury warrants a starred review from the Q&Q; nor comparisons to Daniel Clowes. The book was readable; which is to say, I read it. I won’t ever read it again, and fifteen years from now, while combing the library for books I’d recommend to my daughter, I doubt it’ll come to mind. There are simply a lot of better things available. Insert this article here, The Tyranny of the New. Ihara’s thesis – that we celebrate books which should rightfully be shadowed by their superior predecessors – feels absolutely spot on. Ihara points fingers at an industry which needs to sell books, but I think there’s more to it than that. Canadian literature is an inherently new field. One which, by the way, likes to disown its forefathers, but anyway. I feel as if, increasingly, the average reviewer simply doesn’t have the time or ability to contextualize what they’ve just read. And perhaps this is not a question of willful ignorance, but a simple hazard of the occupation. Who has time to read old books??? I’d be pushing it to claim I read 50 books a year. That’s roughly one a week, a good rate to be publishing reviews whether I am a blogger or a journalist. The industry wants me to review new books – that’s what they sell, and that’s what they mail me – and so, to an extent, does a reader wondering whether to make that next purchase. A career reviewer probably starts reviewing in her twenties or thirties, giving her, perhaps, 5-10 years of prior, adult reading experience to draw on for her reviews. This is barely a step into the library, I think we can agree. To compound the slightness of this survey there’s the unfortunate fact that both students and reviewers often have to skim or sample their books in order to meet deadlines. This leaves little time for deep, thoughtful readings, inquisitive side-readings, dabblings in related but informative works. No, familiarization with the best literature of our civilization is a life-long pursuit, one which is extremely difficult to do justice to if one’s reading schedule is crammed with, most likely, the latest mediocre offerings from the frontlist trade catalogues. I think this does much to explain the mass of “There, you see?” (to quote Kerry Clare) reviews. All you need to read to pull up snippets of “brilliant” prose is… the book under review. Looking over the text as if it exists in a vacuum is certainly an approach to literature. A. S. Byatt made a useful distinction between poets and novelists in her Possession, one which I think also describes the textual scholar from the biographical one – “For the difference between poets and novelists is this – that the former write for the life of the language – and the latter for the betterment of the world.” The “life of the language” is a wonderful thing, but I, personally, do not believe in Barthes’ death of the author. A text (Barthes knew this) does not exist in a vacuum and it is useful to know where the elements of the text came from. It is useful especially to a reviewer, who has a responsibility to communicate to the reader – who may have a depth of reading on a subject which is very deep indeed – how that book compares to other, similar books, or how it stands in its treatment of its subjects. This requires extensive reading, depth of knowledge and possibly even some expertise. We need to read more old books. To bring this polemic back to a point, better historical coverage might help us reviewers call a weak book weak, by comparing it to earlier, stronger attempts at the same thing. There should be as much virtue in promoting an older book than a newer one. To reassure publishers, the old refrain of “publish fewer, better books” comes to mind. I thought it was an asinine sentiment at first, but I don’t think I was reading widely enough of new books to realize how badly this is, in fact, needed. Rather than publishing fifty-thousand new books, catching the flash-in-the-pan sales, and having the book out of print three years later, why don’t we publish fewer books and focus publicity and sales on achieving a longer tail? Instead of having ten-thousand “published authors” who can’t make ends meet, perhaps we should have one-thousand making a living off of it! But this is idealistic, and unlikely to go anywhere in a print culture where all the players – bloggers, publishers, booksellers, cultural bureaucrats – all want to be writers. All of this culminates in an excuse for why I don’t do more reviews. I don’t feel qualified to weigh in on many of the books I read, and then I need to rush on to the next book. I am thirty pages into Pascale Quiviger’s The Breakwater House and already I’m finding I need to research gardens and gardening in order to make heads or tales of some of her more whimsical poetics. It’s too easy to be a lazy critic. I think criticism is a valid vocation and I think the Canadian critical scene has the talent to take it up a notch, especially given so many venues which lie outside the influence of major newsmedia conglomerates who are as happy as anybody to just toe the cultural industry line. But we need to be critical of our own efforts, and unafraid to compare a new book to an older, better one. We should be prepared to state bold opinions that some books should be skipped. If this means dismissing the books written by our co-workers, our social media buddies, and our friends, then so be it. I think, also, I will be showing more discrimination when choosing review copies. I have particular expertise and can review very well on some subjects. I suspect such is the case with most of you. I am less likely to have to publish a potentially embarassing review if the book was carefully chosen to begin with. Another place to be less lazy, I suppose. Fewer, better books, fewer, better reviews. In the end, ideally, more credible reviews and more successful books. I can try. I’m having a miserable week of sleep deprivation, sick and cranky toddlers and moving stress which, naturally, puts me in no frame of mind for either sending or receiving coherent textual information. Proper blog posts, papers and articles sit in draft form on three computers. I try to make headway with Byatt. I consider myself a fairly disciplined reader. I force on myself a reading schedule under which I am prevented from reading “too much” of any one genre – I try to balance old with new books, fiction with non-fiction, Canadian with International. I try, generally, to stick to one book at a time, to avoid philandering. I do my best to finish books no matter how dull and uninteresting I find them. This doesn’t always work. I’ve had to abandon books from time to time. I was comforted to learn recently that I’m not the only one who couldn’t stomach Ishiguro’s The Unconsoled. I gave up on Richard Fortey’s geological epic The Earth. More recently I tossed William Buck’s edition of The Mahabharata (it was not at all as inspiring and engaging as Ramesh Menon’s Ramayana, one of my all-time-favourite reads). And, embarrassingly, I didn’t finish Afua Cooper’s The Hanging of Angelique. But that isn’t bad, I think. It’s a few books from many. I’m generally, as I say, disciplined. I can’t read the poetry in A.S. Byatt’s Possession. Alright, a snippet here and a couplet there, yes. This is fine. But the 8-page rendition of Swammerdam? Entire chapters of Ragnarok? I can’t do it. I want to just flip, flip, flip, until I return to the narrative. And I can’t shake the feeling that this makes me a deeply flawed human being (tongue only slightly in cheek). After all, this is a story about poets, about poetry, about the meeting of souls through text. And I’m skimming for plot. But I can’t help it. I’m just deeply uninterested in the poetry. In that sense (and watch for fuller elaboration when I review the book) I am absolutely the opposite sort of reader than the book’s two scholars – I care not a whit for the text, but quite a lot for the biographical details of the lives of the poets. I am absolutely in love with this book, despite my vulgar reading of it. But who knows how much less I’m getting out of it than I could? Fret, fret. I get so much reader’s guilt! Anyone who thinks reading is a form of entertainment and not some more complex process of self-vetting is kidding themselves. None of us come out of this process pearly-white. After converting to the Canadian dollar (a year ago), and accounting for the cost to import, it cost $16.95 CDN. Don’t be entirely fooled, the back covers are different. For starters, the Canadian edition has a Canadian price printed on the back: $19.95 CDN. The title and copyright pages are different (they appear to constitute preliminaries) but the text block is identical. The paper stock is similar, if not the same. The cover of the American edition is printed on a nice textured stock, compared to a smoother, glossier stock used for the Canadian cover (more prone, evidently, to bulking from humidity). The back covers, as I say, contain differences: The lead review on the American edition is from the Washington Post Book World, while the Canadian edition features a quote by M.G. Vassanji (the Washington Post quote can be found in smaller type after the blurb). The ISBNs and imprints (Anchor vs Anchor Canada) are different. The Canadian edition specifies that it has been “Printed and bound in the USA” while, mysteriously, the American edition does not. And, of course, there’s the higher Canadian price. A few years ago when the Canadian dollar hit par there was a positive rebellion in the bookselling world as Canadian consumers seized on book prices in particular as evidence that they were being ripped off. Though our customers here weren’t as violent and rude as they appeared to be in some of the bigger bookstores, we certainly had our share of customers smugly asking if they paid in US dollars if they could pay the US price. I tried, a few times, to explain why the US price meant nothing to a Canadian retailer but generally speaking nobody was listening. The publishers panicked, and in a bizarre attempt to recoup some PR, abruptly dropped their prices to par and issued booksellers seemingly arbitrary credits to make up for the price discrepancy. It only lasted as long as the public furor did: a few months later prices started creeping back up to the real cost. These days the dollar is more or less at par again but Canadian frontlist trade books continue to cost about 15% more than they do in the ‘States. Don’t take that number as gospel either, some books still come in 30%+ more expensive than the American list price. There’s no real consistency within a publisher or distributor either. Take Oxford University Press as an example. Their Very Short Introduction series comes in at par every time ($11.95 here or in the ‘States). Meanwhile Oxford World’s Classics often come in about 25% higher than the American ($14.95 compared to $11.95). I hope I don’t need to tell my readers that the price of a book isn’t, generally, set by the bookseller. These are the prices charged, less discount, by the publishers. The great mystery is why this happens. We have been told by economic and business Powers That Be that the cost of doing business in Canada is higher than in the ‘States. These higher costs need to be recouped with higher prices. I find this a little hard to follow: given that logic, wouldn’t goods be supremely cheap in countries where the “minimum wage”, should there be one, is measured in cents rather than dollars? Couldn’t we just import Penguin India editions for a fraction of the North American price? I was sympathetic to the publishers’ non-par pricing when the poop hit the fan three years ago. Books take longer to produce than markets take to zigzag, and costs would have been accrued long before the market hit par. Further, many books were published back when the dollar was not par, and slicing the price on backlist titles can be painful. It wasn’t reasonable to expect them to take that loss. But that was three years ago, and this is now. The current status of the Canadian dollar is not a surprise to anyone. Barring major strange shifts in world events or international relations, the Canadian dollar is probably going to stay more or less where it is for the foreseeable future. So why are Canadian books still coming in so much more expensive than American ones? I don’t have an answer, but I can’t help but think it’s a matter of habit. Canadians are used to paying $19.95 for a trade paperback, and so the cost of a trade paperback will remain $19.95. But come on people, we know how to use the internet here. To the best of my knowledge, I can still import (as an individual) an American edition, even if a Canadian is available. How can they expect to sell these Canadian editions when you can so easily get an identical American one for less? The National Magazine Awards were given out this weekend, and the results were sort of depressing. The very first line of their website begins, “Despite a year of magazine closings, restructuring and layoffs…” and the recipients of the awards are largely the few hardy brands which remain: The Walrus, Report on Business, Macleans, Canadian Geographic. I know it hasn’t been a good year for periodicals in Canada, given that the Canada Magazine Fund and Publishing Assistance Program are about to be gutted in favour of the much more limited Canada Periodical Fund. The new funding program restricts federal funding to periodicals who distribute at least 5,000 copies a year – a exceedingly difficult number to reach for a magazine published 2 – 4 times per year as so many smaller publications are. But the new funding structure doesn’t come in until this year – our struggling but excellent little ecosystem of tiny journals and quarterlies ought to have been better represented in the NMAs. I love the Walrus, don’t get me wrong – but does highest-profile actually mean best? This made me wonder what the rest of you are reading. During Book Camp’s Literary Grassroots session, almost every person in the room admitted to having a subscription to a print periodical of some kind. What are you subscribed to? Why? And how do your favourite magazines and journals hold up to the big boys? I am positively addicted to periodicals. It’s the same neurosis that compels me to check my email every three minutes – I love getting mail. And there are just so many incredible publications out there! Not, sadly, ones which win NMAs – but here’s a look inside my mailbox. “A Journal of the Printing Arts” from Porcupine’s Quill, DA is dedicated to all those things about the form of the book. The focus is decidedly Canadian. Rather than a series of smaller articles and features, each issue tends to zero in on, for example, one press, artist, or issue and really go over the subject in excellent, long-form detail. The journal is, needless to say, beautifully produced. My favourite bit is the “keepsakes” included in each issue – small prints done by or after the work of print artists like Frank Newfeld or Gerard Brender à Brandis. I’m always scumming garage sales for more little frames for these little beauties! I wasn’t sure about this one at first. What I wanted was a Canadian version of British Notes and Queries, and that is exactly what this was once supposed to be. Over the years the mandate has broadened somewhat from a more scholarly study of books (not, necessarily, literature) to a more conventional literary review. Nevertheless it remains the place to go for a report on the Canadian book world outside of the Canadian publishing world. Honestly, that it is where David Mason publishes his essays was what ultimately sold me on it. The content is a little unpredictable, but that means it’s likely to contain some really excellent pieces. My only complaint is that they make it devilishly difficult to subscribe. For heaven’s sake, I don’t want to “print out” an order form and mail it in! I want to click on a button and enter my credit card information. Please, and thank you. This is a British publication, but I love, love, love it! From their website: “Slightly Foxed is a rather unusual kind of book review, informal and independent-minded, and its readers tend to be independent-minded too – people who don’t want to read only what the big publishers are hyping and the newspapers are reviewing.” I picked up my first copy from the British Library in London and have never enjoyed so many successive essays in my life. It isn’t about is-the-book-good or should-you-buy-this-book, but what did this book mean to its reader, and how did it fit into the story he’s about to tell you. I came back from England determined to start a Canadian version of it. Coincidentally I had also just read Don Gillmor’s phenomenal essay My Life With Tolstoy, and I thought, this is the kind of thing I like to read. Needless to say my little idea never got off the ground, but I did subscribe to Slightly Foxed. They who need no introduction. Let me talk about The Walrus for three minutes: I am only subscribed for Don Gillmor. Once upon a time I would read my Walrus cover to cover and be a better person for it, but I really think it has gone (a little) downhill, its 30+ NMAs not withstanding. For starters, reading Ken Alexander’s editorials was once the highlight of my month. The first editorial I read by current editor John Macfarlane was a plea for money unadorned by anything worth reading. They haven’t got any better. Somehow the articles don’t bite the way they used to. Yes, it still contains some excellent reading and I don’t think there’s a serious challenger for its status as the “Atlantic of the North”, but that speaks more to the lack of competition than any greatness on the Walrus‘s part. I remain subscribed because I want to support the project and, as I say, three or four doses on Don Gillmor per year are worth the price of subscription to me. I have hopes that The Walrus will have higher highs. Perhaps if the remainder of the Canadian magazine world can stay afloat, some competition will do it some good…?